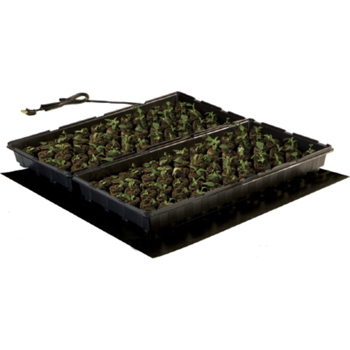 Jump start your seeds with this seedling heat mat. Re-engineered for better performance and greater durability. The stronger heating wire, and thicker multi-layer construction offer more uniform heating and the durability to withstand rugged greenhouse environments. Warms root area 10-20 degrees Fahrenheit over ambient temperature to improve seed germination and increase success of seedlings and cuttings. UL listed.